Mit einer Aufladung können sie die Gültigkeit der Karte jederzeit wieder um ein Jahr auffrischen. Es kann zwischen verschiedenen Tarifen gewechselt werden. Guthaben kann über diverse Online-Dienste gekauft werden (siehe Google).
" PREPAID ALLNET L ". F alls Sie bereits ein gültiges Congstar-Onlinekundenkonto führen, ist. CONGSTAR Prepaid - SIM-Karte. in bester D-Netz-Qualität (D1). Diese Simkarte kann nach Ablauf der ersten vier Wochen auch zum "9-Cent-Tarif". Stay connected with your family and friends while you roam worldwide. SIM is pre-cut : standard, micro and nano. Punch out the size you need for your wireless device. Galaxy, LG, HTC and other devices such as. The card adds to the account balance on any current prepaid balance. 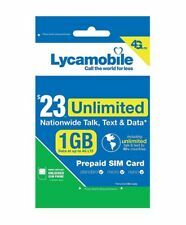 Compatible with Cricket Wireless service. Cricket Wireless. THIS IS NON-NEGOTIABLE. PRODUCT INFORMATION. Card Amount. Phone Compatibility. 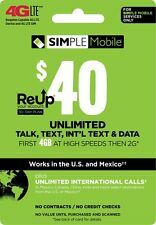 Compatible with Cricket Wireless service. Cricket Wireless. PRODUCT INFORMATION. Card Amount. Phone Compatibility. Model Number. Your Privacy matters to us; we will never disclose your information to 3rd parties. Direct Load to your Phone. 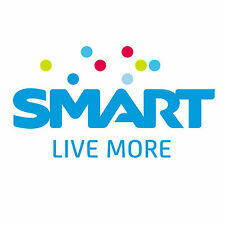 NO WAITING FOR PREPAID CARD or PIN! box while you place the order. 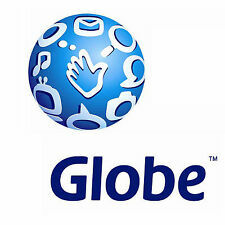 FAST---> THROUGH OUR ONLINE NETWORK --> Directly to your phone. CELLULAR NUMBER. Bring your own tablet or phone. Plus, you can choose from a wide selection of plans and services with no annual contract and no credit check! See provider for more country rates. If you need the item faster. Stay connected with your family and friends while you roam worldwide. SIM is pre-cut, standard, micro and nano. Punch out the size you need for your wireless device. Galaxy, LG, HTC and other devices such as. We do still need the phone number to pull the pin from the system and reserve it for that phone number. How to Check Your Balance This is not a Gift Card. No pin will be issued. AT&T GoPhone Refill Only. Direct Load to your Phone. NO WAITING FOR PREPAID CARD or PIN! FAST---> THROUGH OUR ONLINE NETWORK --> Directly to your phone. CELLULAR NUMBER. 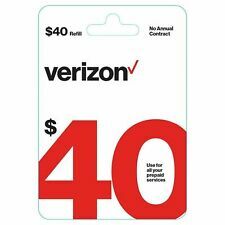 Verizon Wireless Prepaid Only. Direct Load to your Phone. NO WAITING FOR PREPAID CARD or PIN! FAST---> THROUGH OUR ONLINE NETWORK --> Directly to your phone. CELLULAR NUMBER. Schnell, kompetent und günstig! Congstar Prepaid 10 GB neu. Congstar Prepaid wie ich will. sowie Zugang zu Internet-Diensten. Einzelheiten zum Produkt und zu buchbaren Leistungen. Danach können sie ihr bevorzugtes Legitimationsverfahren wählen. MagentaMobil Prepaid M 10 € Startguthaben 1,5 GB LTE, D1 Flatrate 100 frei Min. Verfügbare LTE-Geschwindigkeit u. a. abhängig vom Endgerätetyp und Netzausbaugebiet (max. erreichbar: 300 MBit/s im Download, 50 MBit/s im. keine Anschlussgebühr & keine Mindestlaufzeit, kein Vertrag. ). Credit from the Thuraya PIN can be added to your Thuraya phone when it is turned on in the Thuraya coverage area and has a connection to the network. Dial 150 from your Thuraya phone and follow the instructions to add the credit. Bring your own tablet or phone. See provider for more country rates. Plus, you can choose from a wide selection of plans and services with no annual contract and no credit check! 10ȼ per minute Talk. Die normalerweise horrenden Roaminggebühren gehören mit dieser SIM Karte der Vergangenheit an. Die WorldSIM Karte ist eine Prepaid-Karte. Mit der WorldSIM Karte können Sie Anrufe empfangen und tätigen, bzw. We do still need the phone number to pull the pin from the system and reserve it for that phone number. How to Check Your Balance This is not a Gift Card. No pin will be issued. We reserve the right to void orders, cancel orders if we find it suspicious. 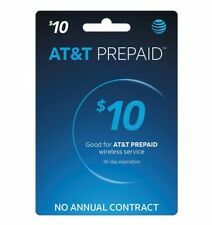 Prepaid SIM-Karte von AT&T ATT USA / 4G /NEU / Auch Kanada & Mexiko !